He’s got a list of accomplishments as long as your arm – a fellow in four nuclear, science and engineering organizations, a PhD in nuclear engineering, an NRC Meritorious Service Award and an appointment as a Colonel in the Maryland Defense Force’s 121st Engineer Regiment. 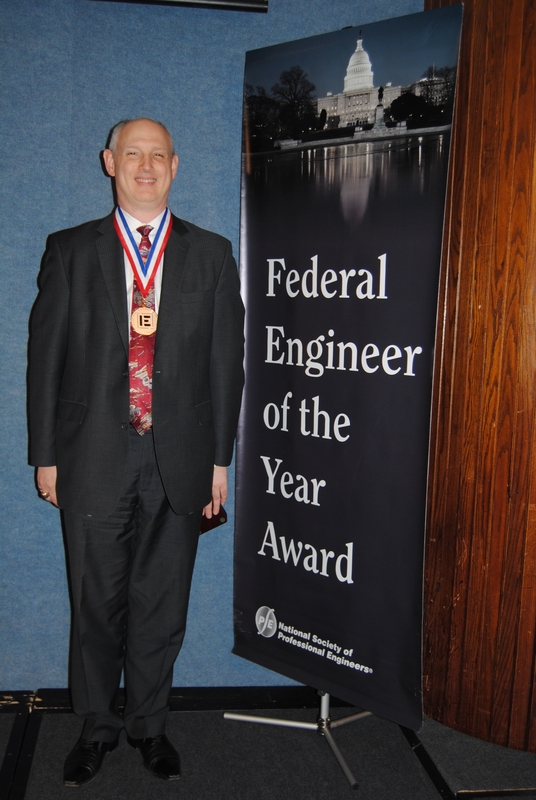 Now Steven Arndt, a senior technical advisor at the NRC, has a new one – Federal Engineer of the Year, from the National Society of Professional Engineers. This award is the only one of its kind to solely recognize outstanding engineers employed in the federal government. Dr. Arndt has worked at the NRC for 24 years. While his past accomplishments are many, it’s his most recent work that has been in the spotlight of late. During the Fukushima nuclear plant disaster, he responded to the NRC Operation Center and put to work his expertise in severe accident analysis. He spent several months on rotating shifts and developed the U.S. analysis of the Japanese report to the International Ministerial meeting on the event. He also helped prioritize the NRC’s near term recommendations for U.S. nuclear plants based on “lessons learned” from the Japan nuclear emergency. Dr. Arndt has also led the development of new regulatory guidance on the use of digital instrumentation and control systems for the 104 operating nuclear power plants in the U.S., specifically on requirements for “diversity and defense-in-depth” in digital protection systems, cyber security, and methods for evaluating the reliability of digital systems. And he also helped develop new state-of-the-art methods to assess the reliability of safety critical digital systems and developed guidance to support the introduction of new digital safety systems into current and future nuclear power plants. While the descriptions of what he’s been doing throughout his career might be over the head of most non-engineers, the bottom line is that nuclear power plants here and around the world are safer today because of his efforts. Outside the office, Dr Arndt stays busy, too. In addition to supporting the Maryland Army and Air Force National Guard, he volunteers as an advisor to the engineering program at Ohio State University, has worked on developing high school exams for students in Ohio and worked with the International Dyslexia Society to support program that help dyslexic student excel in the classroom. The NRC is proud of the work done by Dr. Arndt and applauds his selection for this prestigious award. I know it’s over a year late but Congratulations. A very hardworking guy who makes a brilliant contribution to society from what I have read about the respected Dr.Ardnt. Wow! congratulations Dr. Ardnt. I am very proud of you. Congratulations, as a licensee having a regulator of Dr. Arndt abilities provides confidence.